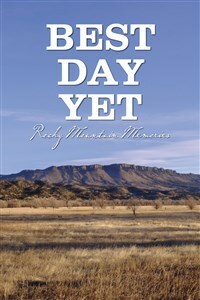 This book is a collection of the author's true-shared essays of outdoor activities and of the folks he has encountered on the Great High Plains. It's Ben's Rocky Mountain Memories of hunting, fishing, people and places. This book has a far wider appeal than just for the hunting and fishing audience. No matter where you live, or what age, or in what walk of life you live, one of these essays will revive your memory of an experience in some way you had or someone in your family has handed down to you. Ben O. Williams is a noted photographer, author, bird hunter and dog breeder. He is the author and photographer of American Wingshooting, also published by Willow Creek Press. His photography and writing have appeared in many prominent sporting magazines including Grays’ Sporting Journal, Retriever Journal, Pointing Dog Journal (for which he is a columnist) and Shooting Sportsman. He lives along the Yellowstone River outside of Livingston, Montana, with his wife Bobbi, fourteen Brittany spaniels and two English pointers.